New growth pokes through the layer of dead leaves. Out of last year's debris, regeneration begins. 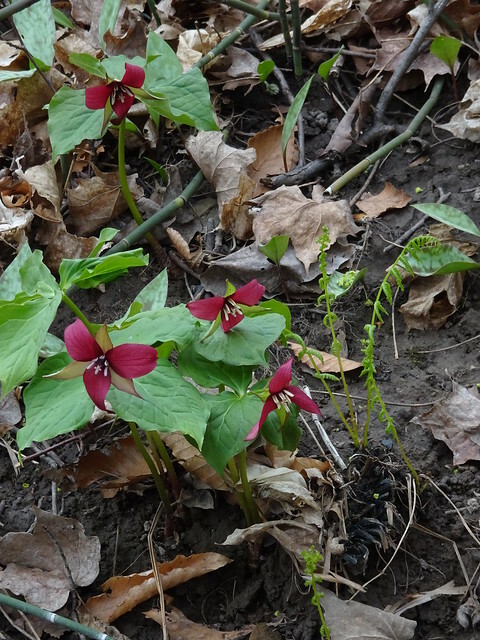 The red trilliums seem to open before their more proliferous white cousins. 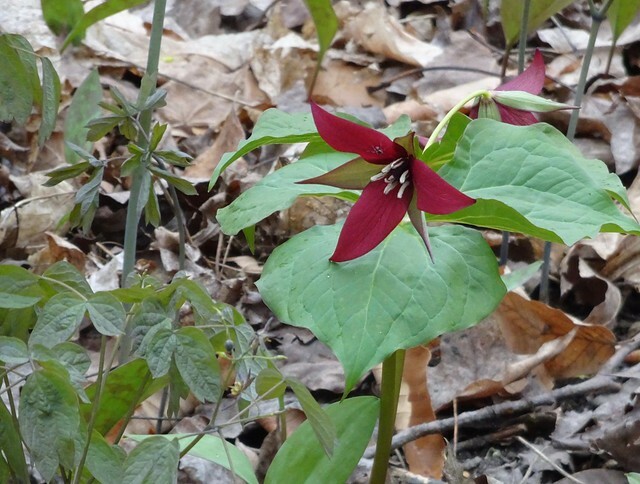 Sometimes solitary, sometimes in small clumps their deep red is a sharp contrast to the sepia around them. 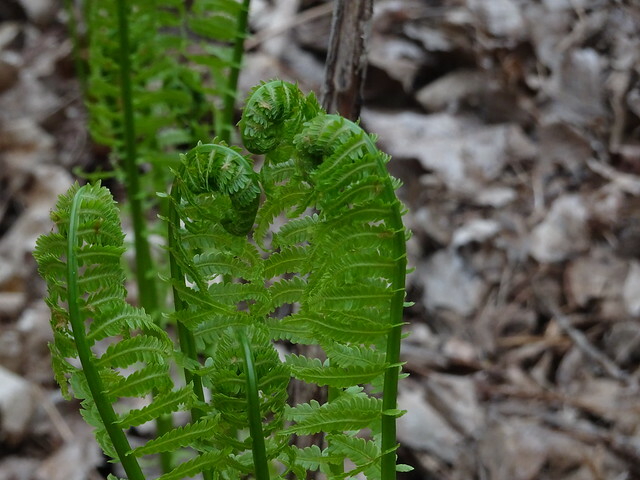 Slowly the ferns are unfurling. They looked like they were huddling together. Warmth in numbers. The temperature was a hovering around 5°C (about 41°F), definitely chilly for the end of April. 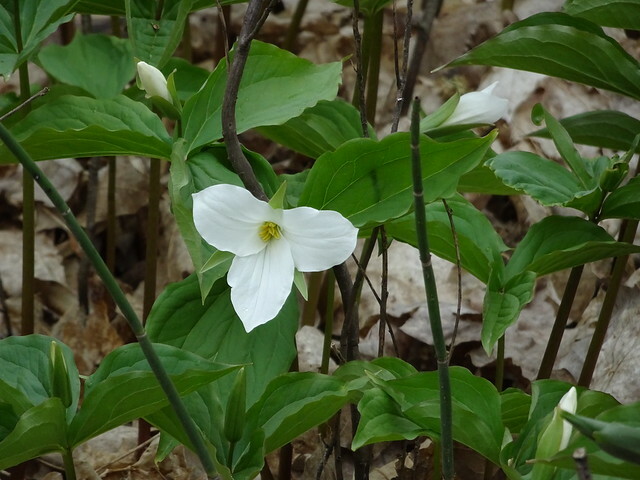 We did find a few open, white trilliums, but mostly they were just starting to bud. 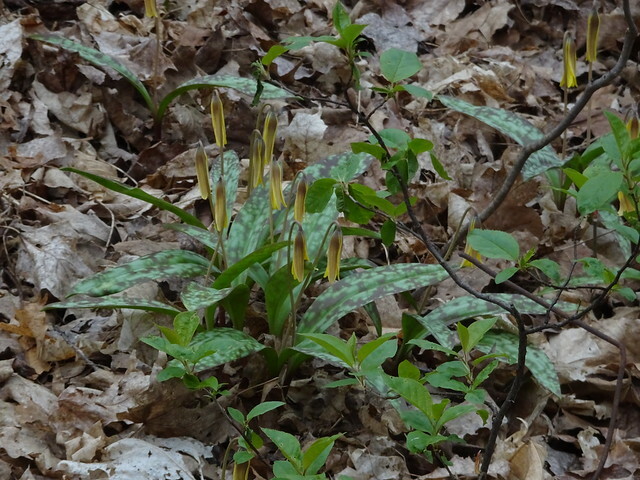 Like the trout lilies (erythronium), they seem to be waiting for warmer temperatures. 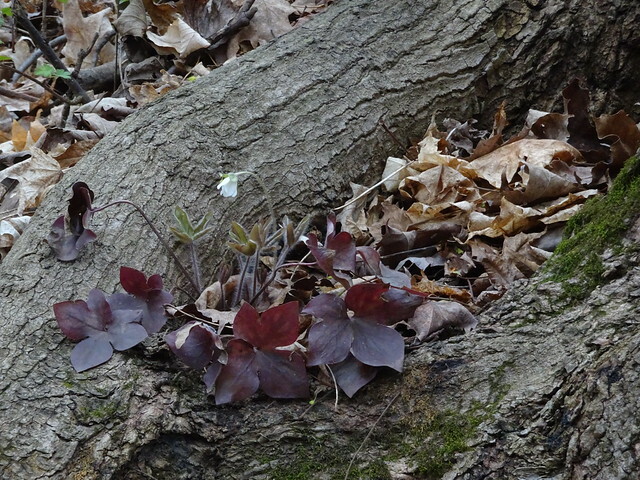 Small patches of hepatica have sent up their first tentative blooms. Sanguinaria could be spotted here and there. 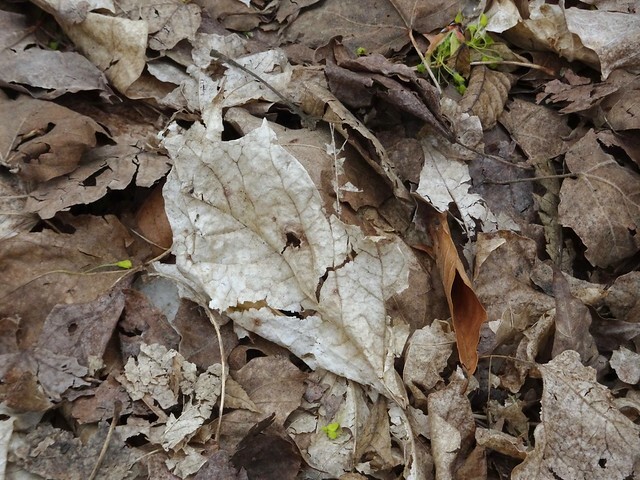 The forest floor is covered with dry, decaying leaves. Some looked almost ghost-like. 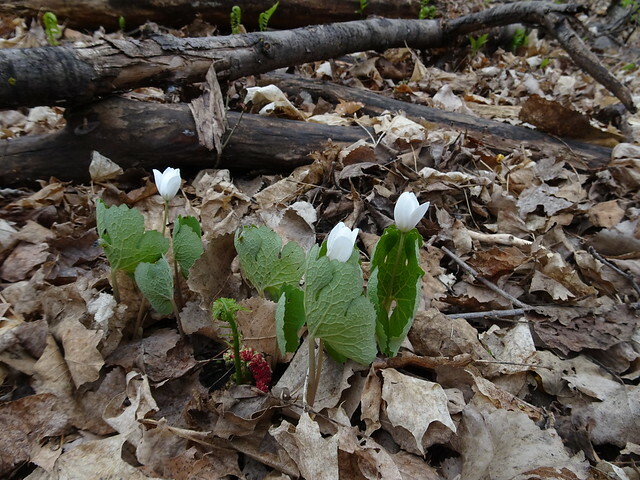 Slowly they will return to the soil and soon the forest floor will be covered with the green of new growth. Dead leaves give rise to new life. I like to find tiny plants sprouting or blooming from the ground covered with weathered fallen leaves. The flowers look smiling.